Randy uses “Triste” as the basis for another practical, hands-on class on a standard, with a wealth of information. He starts off with a solo rendition of the song, followed by playing the melody and then improvising over a guitar chord track. 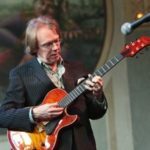 Randy then takes you step by step through a chord solo, discussing and showing alternate chord choices and explains the theory behind them. He then moves onto improvisation ideas, including using simple motifs. High quality chord melody ! Once again Randy delivers a great lesson in a very warm and significant way. The first part is dedicated to a very melodic chord melody & variations. In the second part of the lesson Randy demonstrates sequential melodic improvisation ideas that are clear enough to motivate the student to develop his/her own melodies. I look forward to studying other essential jazz standards such as All The Things You Are, Just Friends, How High The Moon, Pent Up House and so many more with Randy.